Vector illustration of different species of animals standing together. 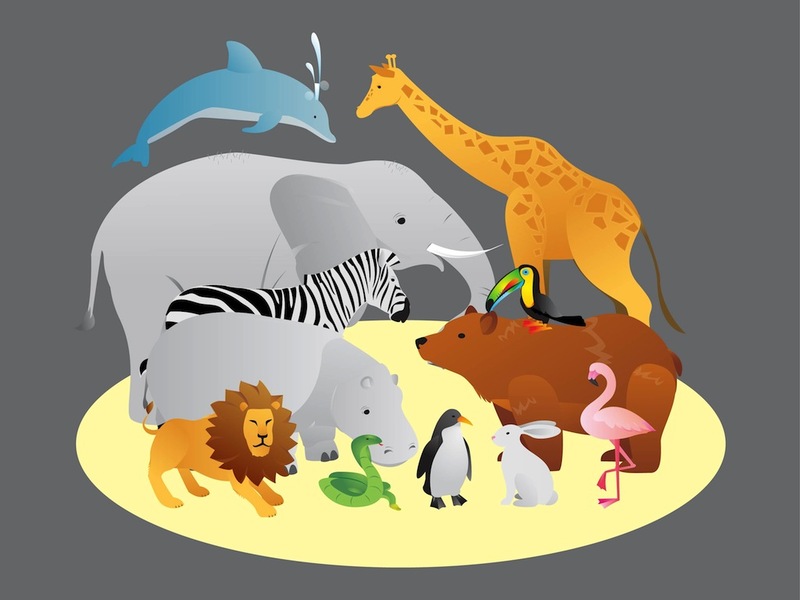 Images of an elephant, dolphin, giraffe, toucan, bear, zebra, rhinoceros, lion, cobra, penguin, pink flamingo and a bunny rabbit. Free vector graphics for all your nature, animals, natural diversity, species, wildlife and wilderness design projects. Tags: Animals, Mammals, Nature, Reptiles, Species, Wild, Wilderness, Wildlife.